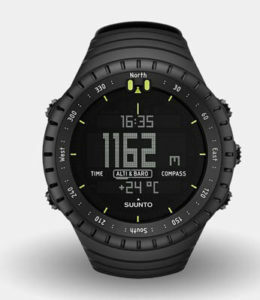 The Suunto Core is a state of the art digital wrist-top computer with altimeter, compass and barometer capabilities. There is a built in weather trend indicator which is especially helpful. 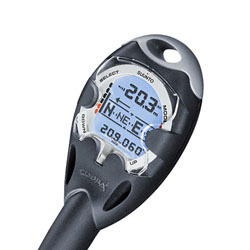 Another feature outdoor enthusiasts love is that the Core alerts you to sudden changes in air pressure which usually indicate a storm approaching. This watch has many great features that allow you to be more in control of your outdoor adventure. You can rely on it to warn you of approaching storms or to tell you what the elevation of the ravine you are standing on is. 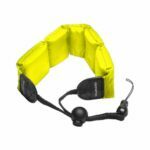 If you need any other information about this device refer to the Suunto Core Manual PDF and we have replacement battery kits for the Suunto core available for sale. 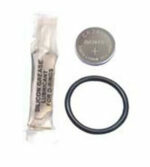 Battery Kit for Suunto Core & Lumi Wristop Watch/ComputerProduct Description Kit includes: New Sony battery and rubber o-ring for the Suunto Core and Lumi series. Brand new and guaranteed to meet factory specifications. 10 year+ shelf life. Benefits Meets factory specifications Protects your valuable investment Battery kit must meet your satisfaction or your money back!